I teamed up with Moberi to bring you this post. It’s that time of the year again… time to get back on track after indulging over the holidays. 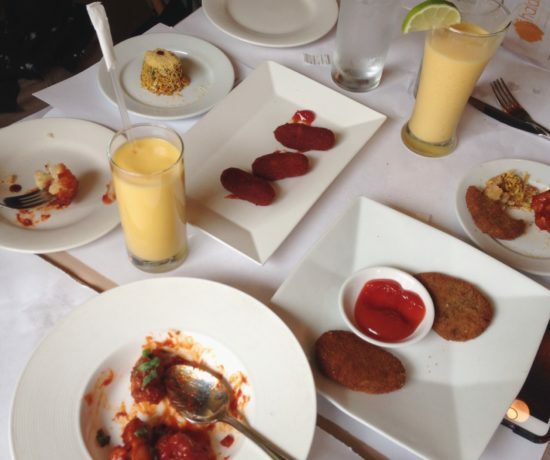 Even as a vegan, I confess that there’s still a post-holiday recovery period. Cue Moberi, the original bike blending smoothie bar. 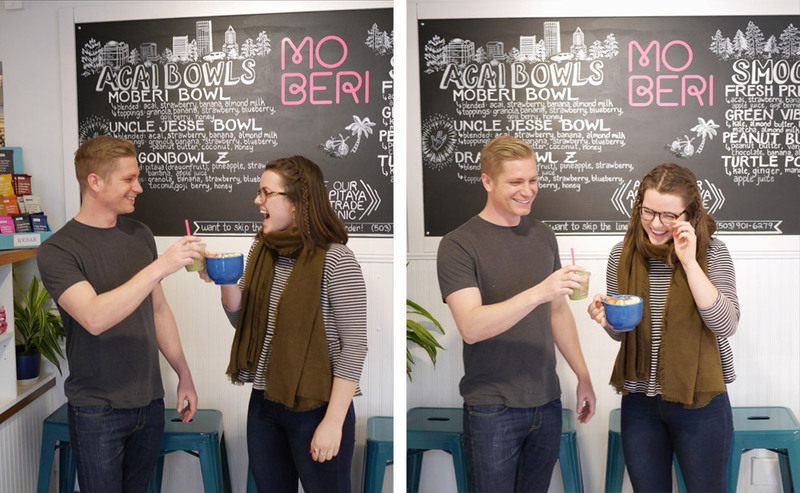 Ryan Carpenter founded Moberi in 2011 with a single blender bike at his house, and you might remember Ryan and his bike from Shark Tank. 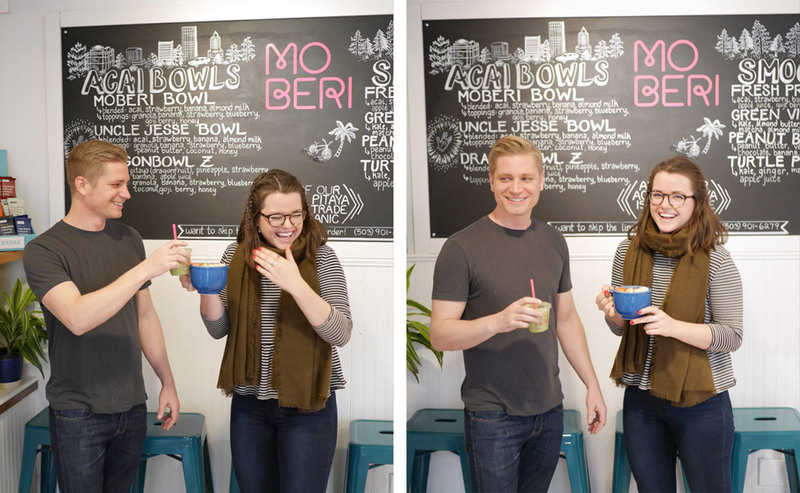 I was recently invited to stop by Moberi to sample a few healthy treats and chat with Ryan and his right hand Lydia. They’re both really friendly, so don’t be afraid to say hello if you spot them at the cafe. 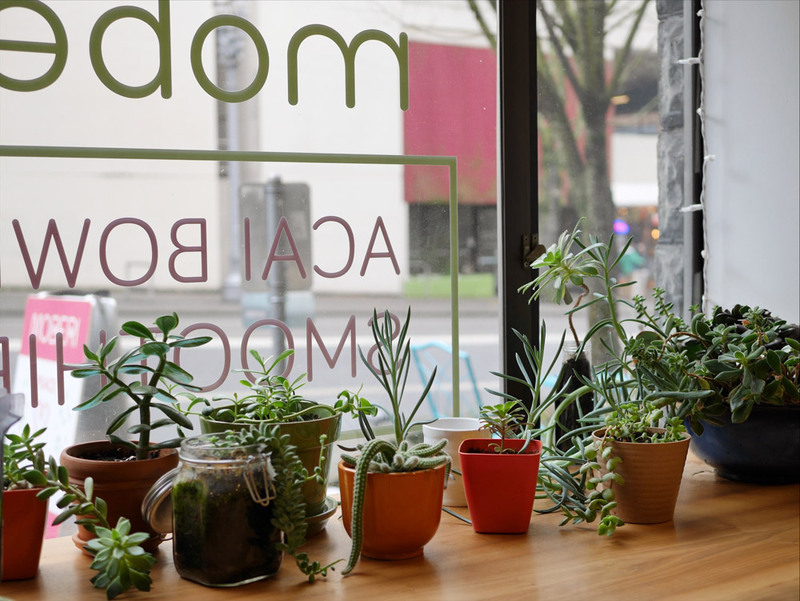 Most of my snapshots are from Moberi’s PSU Cafe that’s heavy on natural lighting and adorable succulents. 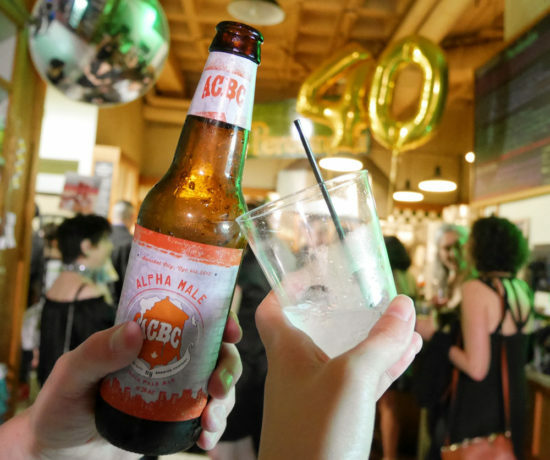 You can also find Moberi inside Portland Food Hall, and they’ve got another brick and mortar on the way. 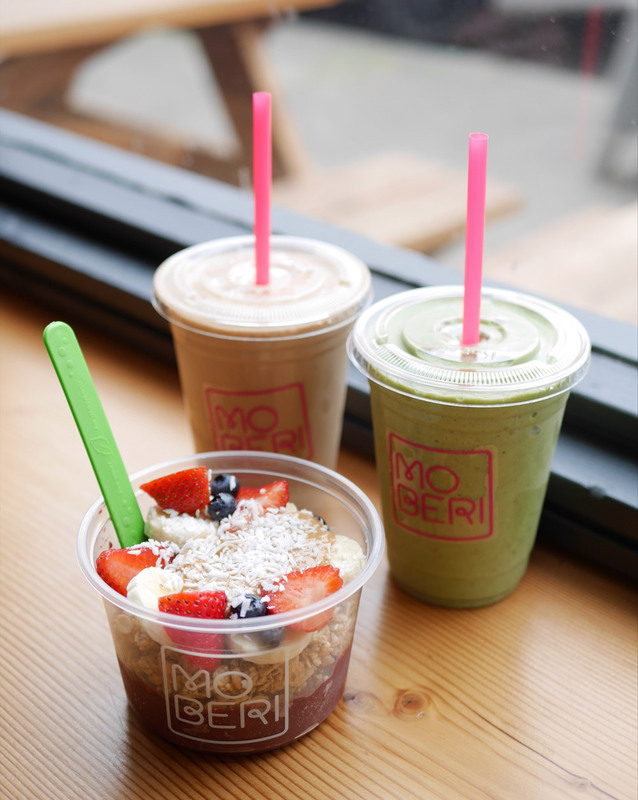 For the true Moberi experience, stop by the hut on NW 23rd Avenue, where you have the option to BIY (Bike It Yourself) when you order a smoothie. A friend once told me that it was the longest minute of his life. Hah! Even though I make plenty of smoothies and smoothie bowls at home (#Vitamix4ever), my ingredients list is simpler than what they’ve got going on at Moberi. I mean, my kitchen has never been stocked with hemp hearts to spruce up my bowls. Moberi is also handy when you need a healthy, but filling weekday lunch. 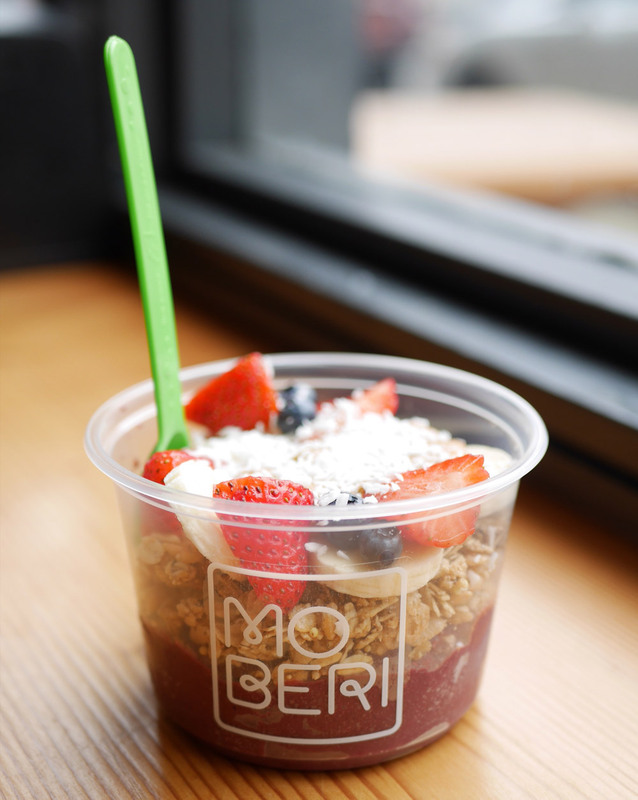 At Moberi, take your pick from a menu of acai bowls and pitaya dragon fruit bowls. 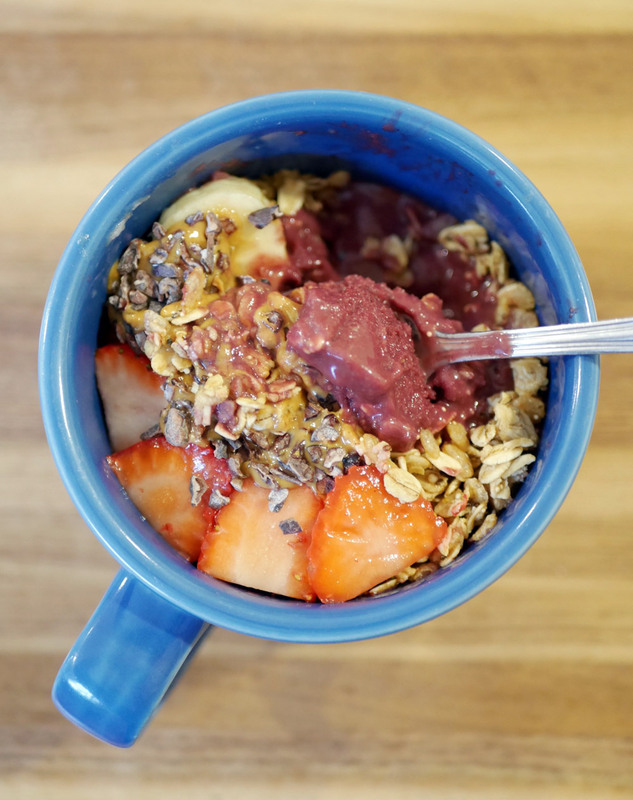 All their acai and pitaya is organic and fair trade. To veganize the bowls, ask to hold the honey and substitute vegan gluten free granola for the regular granola. Trust me, even without the honey, the bowls still have the right touch of sweetness thanks to the fresh fruit. Goji berries and cacao nibs are just a couple of my favorite toppings. 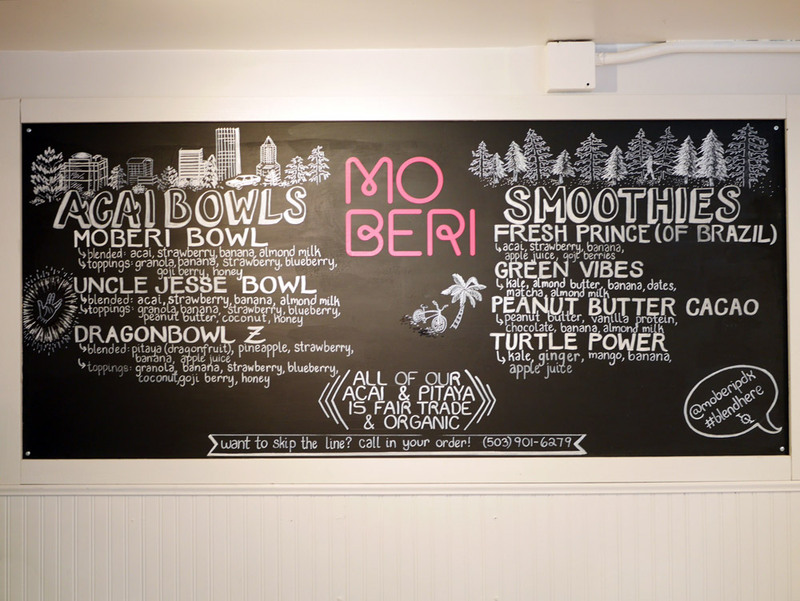 Moberi’s smoothie menu ranges from Green Vibes goodness to the Peanut Butter Cacao that tastes like a dessert. They’ve also started serving protein filled oatmeal bowls at the PSU location. 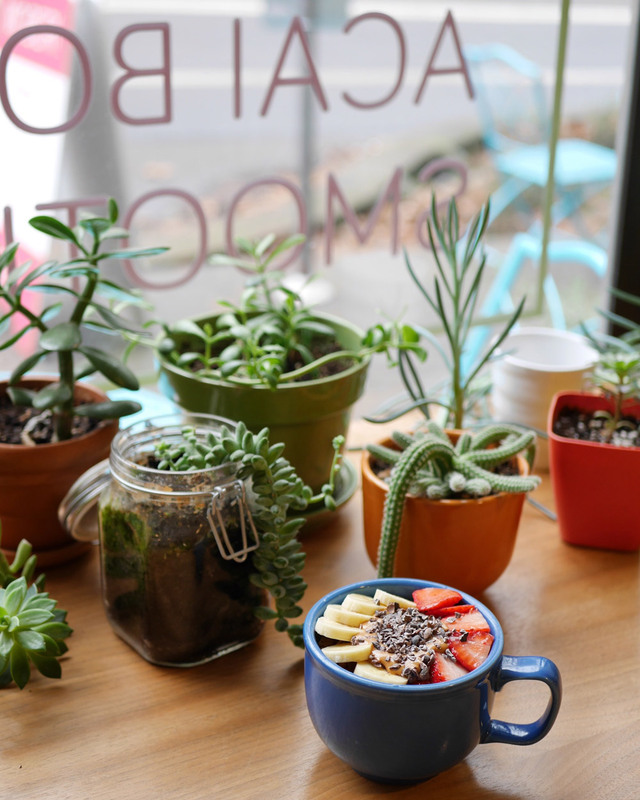 If you’re afraid of getting brain freeze while enjoying an acai bowl in the wintertime, don’t worry, the PSU Cafe is oh so warm and cozy in there. 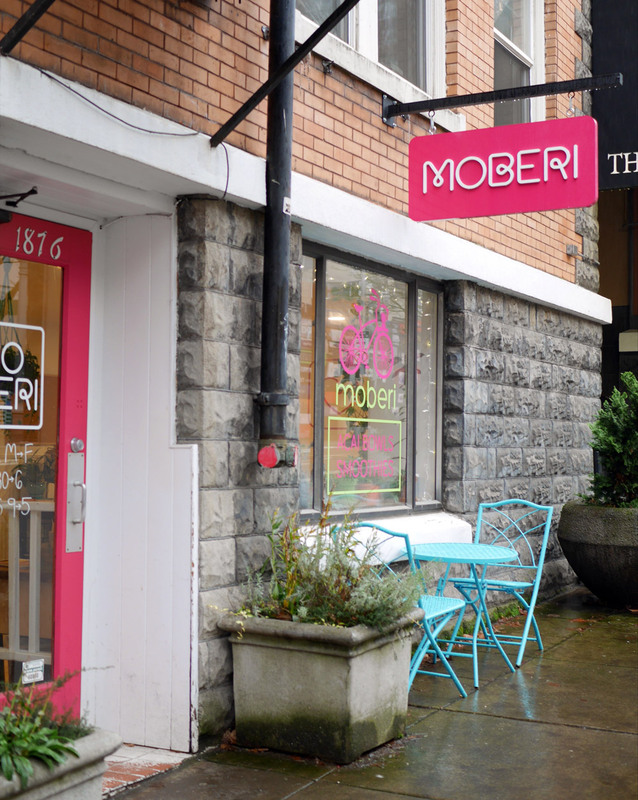 If you decide to pop in there, just look for the hot pink Moberi sign and door. You won’t miss it! Note: This post is in collaboration with Moberi. I was invited as a guest to this establishment and received a complimentary meal. This was not in exchange for a positive review and all opinions expressed here are my own.